BMW M760Li vs Porsche Panamera Turbo! - Muscle Cars Zone! 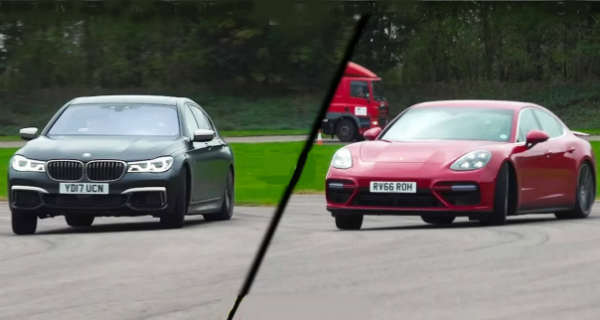 BMW M760Li vs Porsche Panamera Turbo! There are many amazing and luxurious cars that have just been released this past year, and most of these super cars are either extremely expensive or you just simply cannot get one due to the fact that they are rare. So, what would your option be then, if you are looking for a new car? Well, we have something to offer you, two cars that are exclusively amazing and two cars that are super reliable and will get the job done, while at the same time having the feel of being in a super car. We are talking about none other than the two beasts, the BMW M760Li and the mighty Porsche Panamera Turbo. These two cars are extremely beloved by their fans, but which one would you choose? To help you with this question, we take a look at this video hence we put both of these cars head to head. Yes, you will get the chance to see the BMW M760Li and the Porsche Panamera Turbo in action at full throttle. But first, what do the numbers have to say? Well, the BMW has a 6.6L twin turbocharged V12 engine, whereas on the other hand, the Porsche Panamera Turbo has a 4L twin turbo V8 that is able to create whooping 550 HP and it can go from 0 to 60 in just 3.8 seconds. If you want to see them in action on a drag race, drifting and while being driven, make sure to check out the full video!